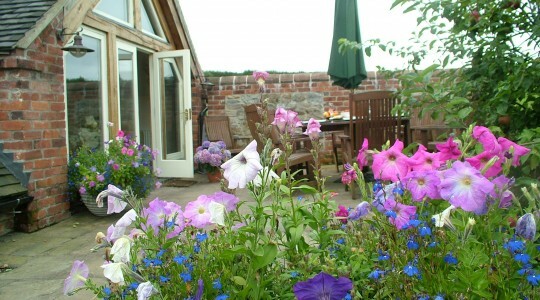 Billys Bothy- Sleeps 12 to 16. 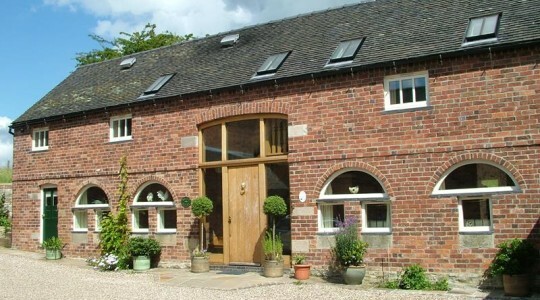 Weeks , weekend and mid week short breaks available, sorry no pets. 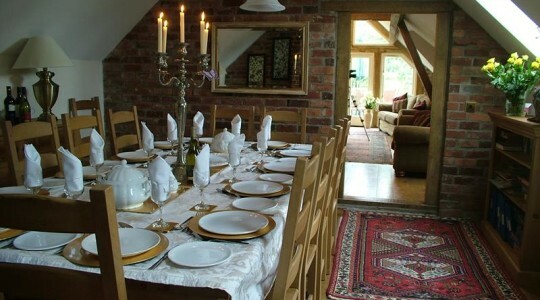 Billys Bothy our large, luxury,5 star self-catering cottage is peacefully located within 10 acres of private pastureland and large landscaped gardens in the grounds of historic Offcote Grange. 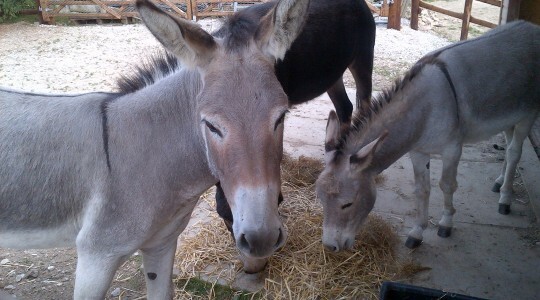 The lush fields surrounding the property are grazed by cattle, sheep and our cheeky pet donkeys. A large nature pond is available for guests to enjoy, bring your binoculars to see the multitude of wildlife surrounding you. Billys is located just 1 mile from the historic market town of Ashbourne with its cafes, galleries and antique shops, and a short drive to the spa towns of Buxton and Matlock , the market town of Bakewell and lead mining town of Wirksworth. Full of character, with pretty arched windows and beams in all rooms, this cottage has stone and oak floors throughout, with the luxury of full central heating is a delight to return to after your days out exploring. 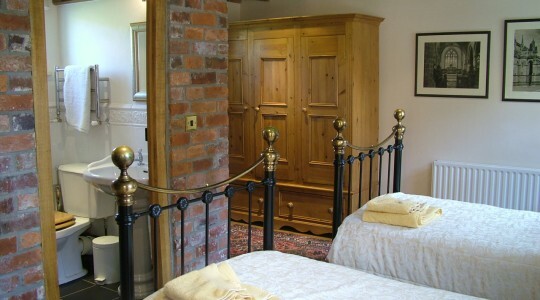 There are 5 comfortable bedrooms in the main house and an option of a 6th annexed bedroom if required at extra cost. 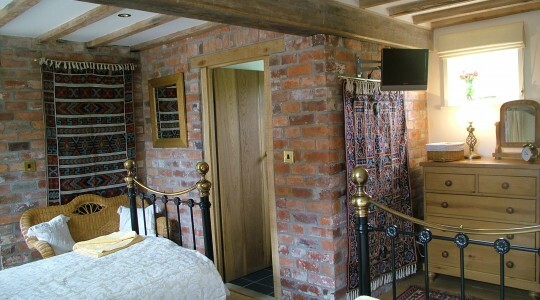 These rooms have 4 double bedrooms and two twin bedrooms all of which are ensuite. 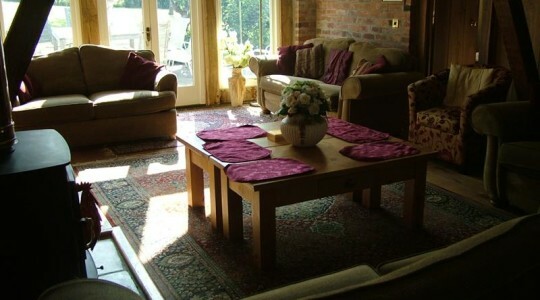 Within these bedrooms are 4 single sofa bed/chairs and a double sofa bed is located within the lounge. Total sleeping capacity including the optional room can be up to 16 with 6 en suite bedrooms. There are also 2 travel cots for our younger guests. 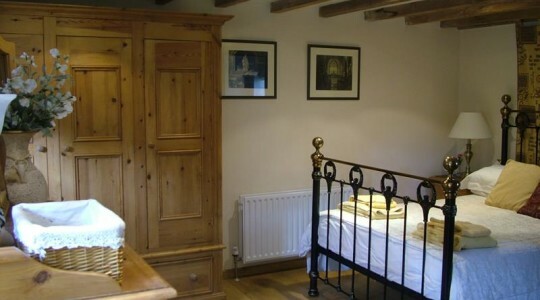 All bedrooms have flat screen LCD TV’s with freeview and wi fi within these rooms. Hair dryers and clocks are provided too. There is a large comfortable lounge with an ancient truss across the centre and an oak gable end which overlooks a private patio and orchard with patio furniture, BBQ and fire pit. The lounge has a cosy wood burning stove and wood is provided free of charge for those colder nights. For your entertainment a large flat screen LCD Smart TV with video and DVD is provided. 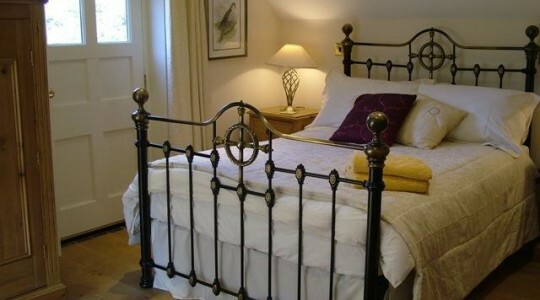 A radio and IPOD dock is also provided and Wi Fi is available throughout the property. Our beautiful dining room has a large hand-made table which can sit up to 16, ideal for that special occasion and those intimate meals with friends and family. Two high chairs are provided. You may choose to cook for yourself in our extremely well equipped galleried, farmhouse style kitchen which looks over into the entrance hall. Alternatively we can offer you the luxury of delicious home cooked meals to enhance your stay and tantalize your taste buds. Try a Mad Hatters tea party or luxury buffet or BBQ. The kitchen has a large fridge freezer, microwave, full halogen double oven cooker, slow cooker, liquidiser/ blender, dishwasher, washer and drier. A coffee maker and cafetiere are also provided. 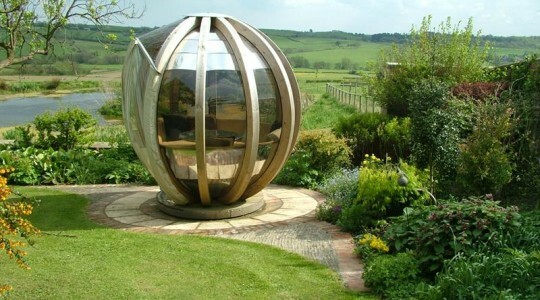 We have an onsite sauna and a hot tub which are available by arrangement to help you relax after a long day out . pampering can also be arranged. These along with catering must be booked in advance. 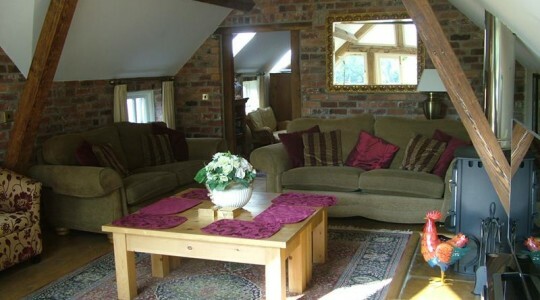 Our cottages are very popular for hen parties, birthdays and special occasions and along with meals and pampering many activities both at the cottages or around them are available to make your stay memorable. Here at Offcote Grange we have land available overlooking the valley , its is beautiful landscaped and has 2 sites on which you are able to have a marque, tepee or yurt for wedding parties. Please ask for details. We also cater for small private corporate events and a projector, screen, whiteboard and internet are available. 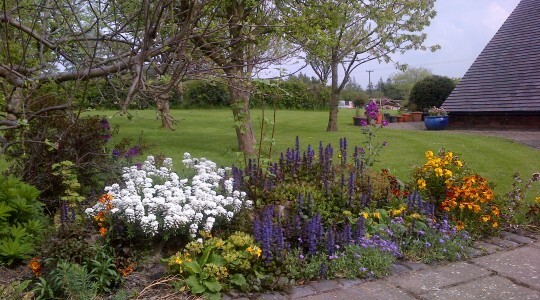 Wi Fi is available throughout the cottage. The gardens have lawns and flower beds, with teak patio furniture, bbq, cycle storage and private off road secure parking for many cars. 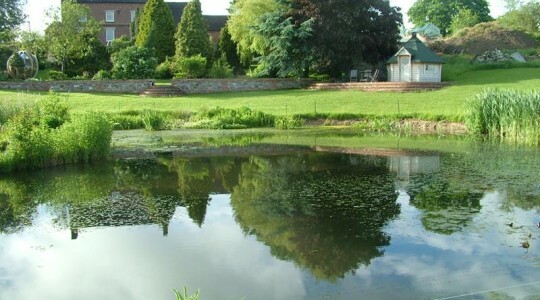 Visit our main website www.offcotegrange.com for full details. 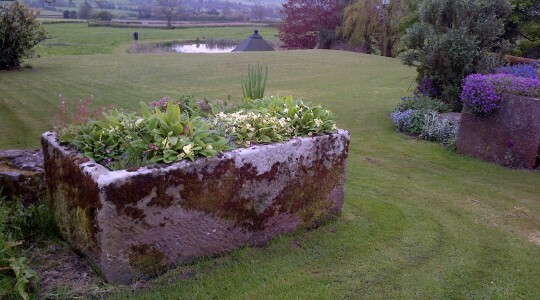 When enquiring please let us know that you originally found us on the Ashbourne- Accommodation website. 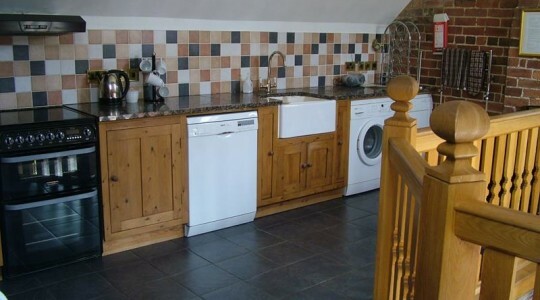 Washer, drier, dishwasher, full electric cooker, microwave, slow cooker, fridge, freezer, wi fi, solid fuel BBQ, 7 LCD TV.s, DVD, VCR, Ipod dock, CD player, payphone, garden, private parking, cycle storage, no smoking, no pets, children welcome, careful hens and stags welcome, party house , Meals, Pampering. Hot Tub and Sauna available. Activities close by include quad biking, laser tag, paint ball, water sports and activities at Carsington Water, climbing, caving, canoeing, gliding, paragliding, pot holing, cycling, golfing, swimming, pony trekking, walking the Derbyshire Dales, Alton Towers theme park and Waterworld. For the younger children Gullivers Kingdom and the Chestnut Centre. Pay a visit to the fascinating Blue John caves at Castleton or take the cable cars at the Heights of Abraham at Matlock Bath. Museums include, Sudbury Hall museum of childhood, Midland Railway Steam Trains, Peak Rail, Crich Tramway Museum, The Mining Museum, Cotton museum and Mill museums on the Derwent Heritage Trail, Derby Industrial Museum. Derbyshire is a haven for lovers of historic houses, some private some National Trust but some fabulous places which include the magnificent Chatsworth House, Calke Abbey, Kedleston Hall, TissingtonHall,Sudbury Hall, Eyam Hall, Ilam Hall, Hardwick Halls, Haddon Hall, Tutbury Castle, Bolsover Castle, Wingfield Manor are but a few. But most famously must be the magnificent Peak District National Park, with its magnificent heather covered moorland and home to the Derwent reservoir and the war time tests of the bouncing bomb. A fabulous county to walk the many and beautiful Derbyshire Dales, or for the more adventurous the challenging walks over the Moorland of the Peak District National Park.